The team is proud to announce the release of Linux Mint 6 Fluxbox Community Edition. Linux Mint Fluxbox Community Edition is based on Xubuntu 8.10 Intrepid, Linux 2.6.27, Fluxbox 1.0.0 and Xorg 7.4. Included is an all-new menu system, Mint-FM2, Slim as a display manager, Live CD features that should make it easier to install on low-end machines, a brand new “Software Manager”, FTP support in mintUpload, proxy support and history of updates in mintUpdate, mint4win (a Linux Mint installer for Microsoft Windows), and much more minty goodness. For a complete list of new features read: What’s new in Felicia Fluxbox CE? The testing will last for 2 weeks. Please report any bug you may find via the Linux Mint 6 Fluxbox RC1 Bug Thread and give us your feedback on this release by posting a comment right here on the blog. Next Next post: Linux Mint 6 “Felicia” KDE CE RC1 released! Looks very good, I will await the full release due to bandwidth restrictions but am really looking forward to it. I find the fluxbox openbox system very innovative and fast and making Linux stand apart from Mac and PC in interface and speed on older machines. I hope you keep this project alive for many more releases as it is the most exciting RC and will let me keep my old machine going for time to come. Outstanding, I’ve got an old PIII Laptop that’s been waiting for it. Is there a way to upgrade to this without a reinstall? I already have Linux Mint 6 Felicia on my eee pc and would much rather just upgrade. Help much appreciated! Pingback: Ubuntu Look » Linux Mint 6 “Felicia” Fluxbox CE RC1 released! I can’t wait to try it out, looks great! Hey guys, which network manager is in this edition: wicd or gnome network manager? @Firefly: You’re welcome… and Thank you! I’m not installing but I’ll help seed the torrent. I can upload at 4MB/s so that should help keep the torrent speedy. Linux Action Show covers Linux Mint 6 “Felicia” Fluxbox CE RC1! I tried Mint GNOME and it has been running faultlessly on my desktop. But my laptop’s specs are much lower compared to my desktop so I want a lightweight version on it. However, it seems like switching to XFCE/Fluxbox with WiCD instead of Network Manager (this is the only difference I notice so far) causes my laptop unable to reboot properly. It is always the same process : The logout screen appears, the bar runs to its end, a black screen appears and nothing more. I have never come across this problem when I use Mint GNOME, has anyone experienced this as well? P.S I forgot to say, my laptop is Fujitsu Lifebook S2020 series, which is about 4+ years old. I was looking for something like this and I found fluxbuntu that doesnt look like final product at this time. This mint edition is perfect for me and my old laptop. Great stuff is WICD and Mplayer in basic installation – good choice. Question about updates – any chance that can be put in mint repository all the apps that are in main instalation (new versions of pidgin etc.) ? 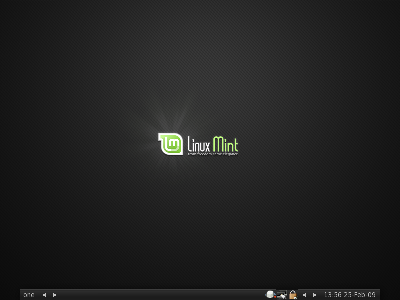 I decided to convert the only non-Linux machine in my household to Linux and this time I want to install Mint Linux. I am specifically interested in the Fluxbox version. Is it certain that testing will last two weeks since this post was published? If so – waiting a bit more is OK; otherwise I will gladly install the RC – will it be just a matter of updating some packages when the final release is available? Or will it be more complex than that? We release “when ready”, there is no guarantee the stable release will come two weeks after RC1. It’s just part of our process to listen to the community feedback for 2 weeks to give everyone a chance to report bugs. There isn’t a config tool for slim. You can edit /etc/slim.conf for autologin though. Just add these to the file. I’d like to test the live cd Fluxbox. What username/password combination do I have to use? How does one start with Gnome? What password is it asking for?